Lilac Linguistics (clockwise from bottom left): Roman Keyes, Corban Couey, Milton Armstrong, Isaiah Armstrong, Kyle Luders. Milton Armstrong — a 20-year-old with a ragged chinstrap beard and a lion’s mane of curls — stands on the edge of the road that borders the grassy, serene Manito Park Lilac Garden, waiting for his friends. A stuffed backpack — one with a tightly rolled blanket tethered to the bottom — sits high on his back. When his friends roll up alongside the road in a sparkling, vintage, cream-colored BMW, each one who steps out is a distinct character: 18-year-old Corban Couey (aka Kave Dwella), a skin-and-bones kid with greased-back hair most grown men would envy; 20-year-old Roman Keyes (aka Redking) with dark-rimmed glasses and a spindly mustache; and Armstrong’s baby-faced, puffy-afroed brother, 16-year-old Isaiah (Doc Zay). The group’s other member, Kyle Luders — or Krutch — lives outside of town. The others laugh when they realize no one knows where exactly he lives, or how to get a hold of him. “He always comes through,” Milton says. 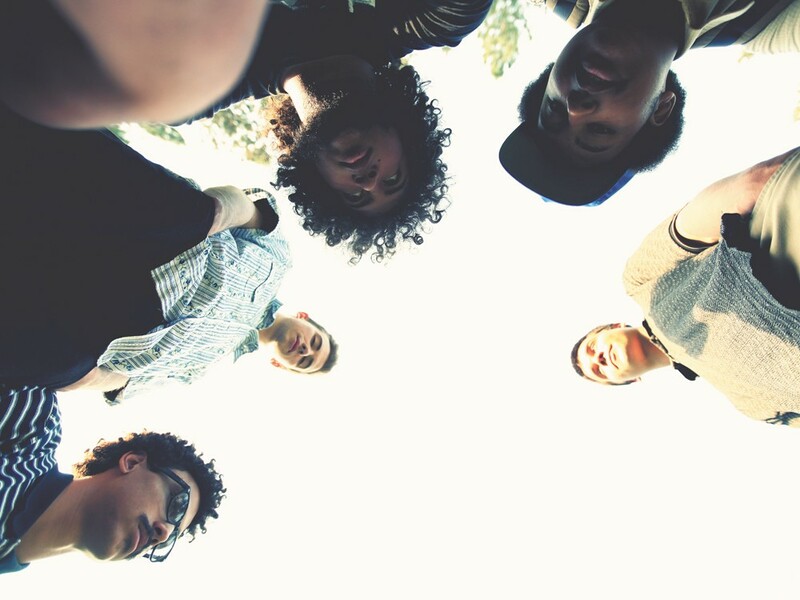 They call themselves Lilac Linguistics — and, when they take the stage, the group’s five members deliver high-IQ hip-hop over throbbing, rib cage-shaking bass and between samples of Richard Nixon speeches and old silver screen dramas. And they do it without swagger and strut. Together, each member raps and makes beats. Couey handles graphic design, Keyes records and masters each song in his mom’s basement, Isaiah deejays when they play live. They’re a self-contained hip-hop unit. Ducking between out-of-bloom lilac bushes, the four settle onto a shady spot off a hiking path, digging in their backpacks for cans of Coke. It’s here, Keyes says, that a lot of their rhymes took shape. Rapping became a creative way to talk about their lives: hiking Bowl and Pitcher, bumming around the South Hill. “A lot of lazy days chilling in the lilacs,” he says. The group — which has two members still in high school — scours Spokane thrift store bins for vinyl records to sample. At Keyes’ house, they lift samples from their finds and his mom’s collection of John Coltrane, Marvin Gaye and Earth, Wind and Fire records. They’ve transformed a closet into a sound booth. And they record when Keyes’ mom is at work. The group’s inclination toward bygone technologies and trends is illustrative of its potential struggle: Here are five young men whose interests steer away from the desires of other kids their age, and far from any mainstream music trends. Inspired by locals like Freetime Synthetic, K. Clifton and Flying Spiders, they make hip-hop that isn’t as driving and aggressive as it is meditative, heady and artistic. Like on Couey’s all-instrumental Reluctant Beat-Tape, he layers calm, collected jazz in and out of subtle, unobtrusive scratches and thick 1990s beats. As Them Meddling Kids — a project of Krutch and Kave Dwella — Couey is the growling baritone to Luders’ bouncing rasp. And the Armstrong brothers’ Infinite Penz project pits Milton’s high-pitch, lisping rhymes against Isaiah’s laconic, consonant-heavy cadence. They’re quick to say that it isn’t that they dislike the mainstream, or that CDs and iPods are below them. They aren’t haters, Milton says. “We’re into the old school kind of sound,” Isaiah says. And being real, to them, sounds both refreshingly new and yet completely old. Download Lilac Linguistics’ music at lilaclinguisticsentertainment.bandcamp.com, which releases on Tues, Sept. 25. Download Kave Dwella’s Reluctant Beat-Tape at kavedwella.bandcamp.com.